Don Henry was Chief Executive Officer of the Australian Conservation Foundation from 1998 until he stepped down in March this year. Prior to heading the ACF, Don was Director of the Global Forests Program, World Wildlife Fund, working with the World Bank to conserve 250 million hectares of the world’s forest. His campaigning for the protection of the environment began in the 1980s in Queensland. 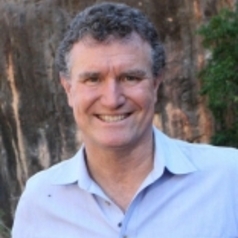 More recently he has advocated to optimise the Murray-Darling Basin Plan, Climate awareness and laws in Australia, collaboration with traditional owners on protection and management of lands in Northern Australia, protection of oceans, and he played a key role in brokering the Tasmanian Forest Agreement. In his work at the University, Don will draw upon his extensive experience with environmental policy in order to write on the effectiveness of collaborations across society. His focus will be on climate action and durable policy reform in the Asia-Pacific region. He is an International Board member of Al Gore’s ‘Climate Reality Project’. Don will also continue his interest in environmental issues facing Northern Australia. As Public Policy Fellow, Don will be a linchpin between grassroots and sectoral stakeholders and the research community, enabling the mutual transfer of knowledge. He will engage in public debate, collaborate with academics and meet with students. His role will include fostering partnerships with the University.